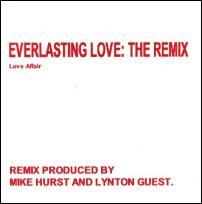 The UK release of Lynton Guest's remix of "Everlasting Love" with renowned producer Mike Hurst will finally be issued on 30 January 2004. If you don't want to wait that long, Lynton has made signed pre-release promo copies available for a limited time. The price is just £5 plus £2 postage. Contact Lynton (lynton6@aol.com) to reserve your copy. Says Lynton: "We have tried to keep it recognisably the original yet also recognisably new. I have put a new synth bass on it and we have made a number of subtle changes." MORGAN tour dates! Added a Morgan tour date listing, courtesy Christophe Simplex. The list makes for a really fascinating read, and it is heavily illustrated with concert adverts (and a couple reviews). I have also added two 1973 reviews of Morgan's "Nova Solis" album. Added more information about Muscles, the band formed by Rex Brayley in 1971 (who actually supported Morgan in April 1972!). (November 2003) Updated the Love Affair biography with more information about Eunan Brady who was guitarist in the band for a few weeks in 1970. LOVE AFFAIR - "Everlasting Love: The Remix"
Added Love Affair "One Road" (Singapore), "A Day Without Love" (Israel) and "Everlasting Love" (England 1982 re-issue) picture sleeve singles. Added Steve Ellis Germany promo 'blitz' sleeve single ("Evie") and a 1969 magazine with Steve on the front. Maurice Bacon is running Joust (A Weekend Of Mediaeval Mayhem) again this summer. Last years event was a huge success drawing 9,500 people over the weekend and Maurice is expecting the festival to get bigger this year. Visit www.joust.info for more information! 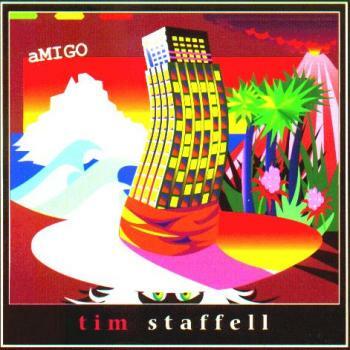 TIM STAFFELL - "Amigo" - new CD out now! Tim's new CD "Amigo" featuring Morgan Fisher and Brian May is available from his website www.digitalhands.co.uk/amigo/main.htm, priced 16 Euros (or USD $18) including post and packing. (May 2003) Forthcoming Morgan Fisher live dates! 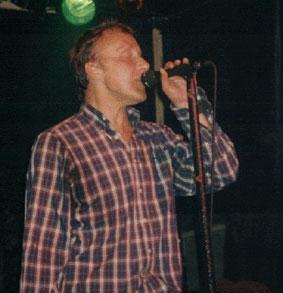 Morgan Fisher will be playing his first gig in London in over 20 years, on 16 May 2003 at the ICA. 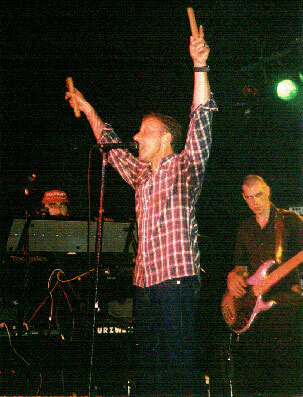 He will also have a show in Brighton on 17 May 2003. On both shows Morgan is joined by the Japanese band Futon Logic. Visit www.morgan-fisher.com/live.html for more info. Steve Ellis concert! 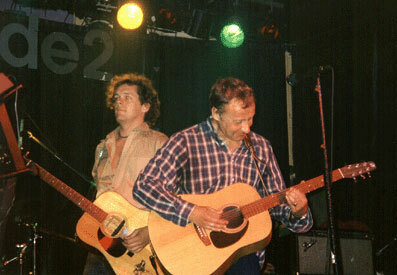 Steve Ellis is playing at the Concorde 2, Madeira Drive, in Brighton on 05 June 2003. The gig will showcase numbers from the forthcoming album "A Kind of Innocence". Tickets are available at Rounder Records (01273 325440), the Dome box office (01273 709709), and on the door; price £10. 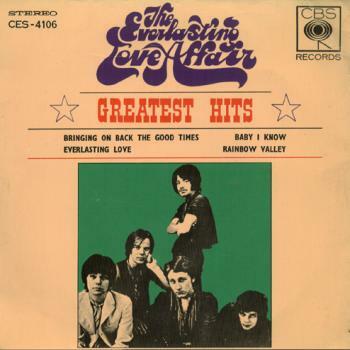 (May 2003) Updated the Love Affair discography with "3 Of The Tops", an obscure German 1969 compilation LP with four songs apiece by the Love Affair, the Tremeloes and the Marmelade! MORGAN FISHER - "Three Faces" - new 7" vinyl single! Morgan has released a new 3-track vinyl single in Austria called "Three Faces" (Klanggalerie GG58). According to the label, "Ex member of the legendary Mott The Hoople and 80´s avantgarde pioneer Morgan Fisher (Hybrid Kids) delivers three totally different tracks on this exclusive 7" - ambient, folky, eastern and western - it's all there. A bit like late Roedelius but less sweet. Limited edition 100 copies. First 33 copies of this item come signed!" - please visit www.klanggalerie.com to place an order. Morgan Fisher and Tim Staffell interviews! Jason Ritchie at www.getreadytorock.com have posted new interviews with Morgan Fisher and Tim Staffell at his website. (April 2003) Jukebox Magazine in France published an article by Christophe Simplex entitled "Tim Staffell - La genèse de Queen" in their December 2002 edition. 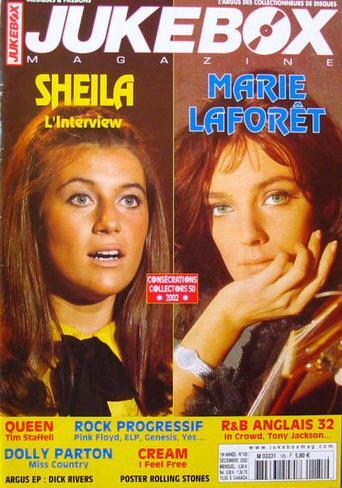 This is basically a French transcript of the Tim Staffell biography from this website! 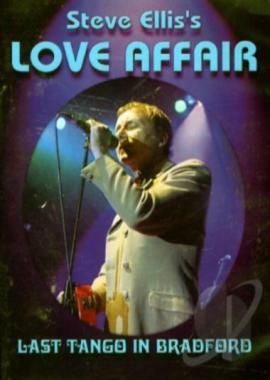 (March 2003) LOVE AFFAIR - "The Complete Collection" - new CD! LOVE AFFAIR - new cassette only albums discovered! Added a site search function - just type in your query and click the search button to search this site - the search engine will ONLY return hits from this site, and there are no banner ads. (February 2003) STEVE ELLIS - "Last Tango In Bradford" - new DVD! STEVE ELLIS - "A Kind Of Innocence" - new CD out soon? Steve Ellis' new album is nearing completion and has a working title of "A Kind of Innocence". It will include an acoustic version of "Everlasting Love" and a re-recording of "El Doomo". Steve also hopes to tour the UK next year, as part of a package tour entitled "Manfred Mann and Guest Singers". (January 2003) Updated the Steve Ellis discography with German picture sleeve singles for "Loot" and "Evie".